When someone else’s negligence has cost you your health and your savings, you may feel powerless. However, you shouldn’t have to pay for someone else’s mistakes. You’re entitled to compensation for your pain, medical bills, and lost wages. 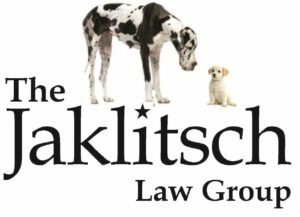 Contact the Jaklitsch Law Group when you need an auto accident lawyer, truck accident lawyer, or wrongful death attorney in Greenbelt, MD. Don’t let the difficulty and complexity of these cases stop you. Call an experienced car accident attorney from the Jaklitsch Law Group to guide you through the system so you can get the compensation you deserve. The Jaklitsch Law Group is known for giving clients personal attention and for achieving impressive results. When you come in for your free initial consultation, you’ll meet with a personal injury or auto accident attorney, not a paralegal, to discuss your case. When you need a car crash attorney or other type of personal injury lawyer in Greenbelt, MD, call us at 301-627-8700. We look forward to getting started on your case.